I have always been a fan of Nobuteru Taniguchi's red Vertex S15. 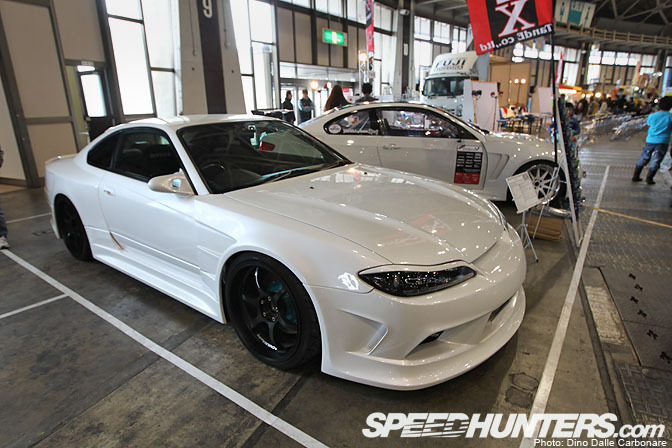 But I truly became hooked when T&E debuted the new Vertex Edge bodykit on the S15 and repainted it in pearl white. This car just oozes style and has to be one of the best looking S15s in the world. looks beautiful, I wouldn't mind driving that as a daily. yo wish i had this in my garage to look at!!! damn that is nice, but what is up with all these random snap, no proper post in a lil bit, come on now! Easily makes my list of best looking cars ever. So is this Nobuteru Taniguchi's red personal car, just repainted with the new aero? I've been wondering if it was indeed his car. Looking back on old Vertex ads, nearly every S15 used is Taniguchi's car, in one form or another. an amazing, daily driven machine inside and out!